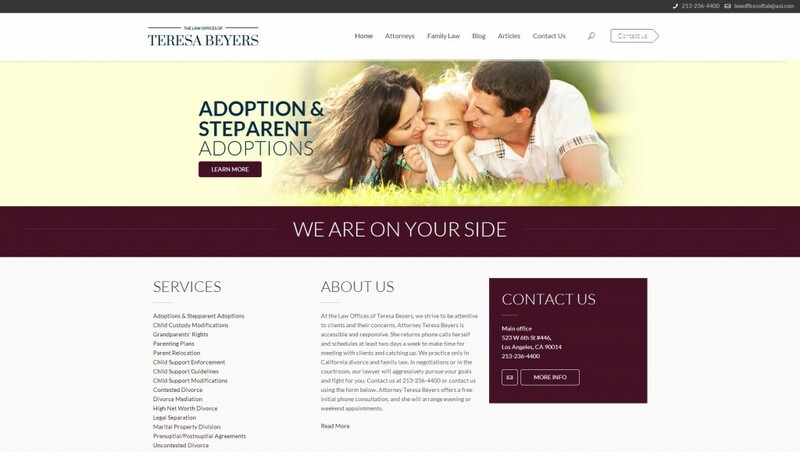 Vivid Candi custom branded, coded & developed www.teresabeyers.com for a divorce law firm. Website features & functionality: WordPress content management system (CMS). Responsive HTML for a seamless experience on Mobile/Tablet devices. Custom branded design.